The awful day when I had to part ways with the Somerholters has finally arrived. 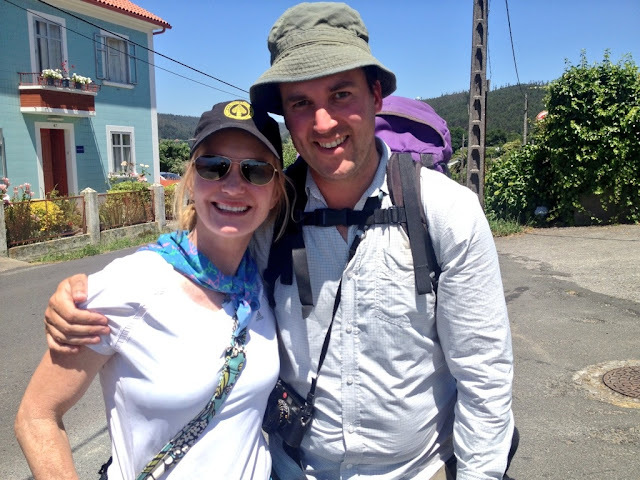 I'm sure this sounds rather trite to those if you reading this back at home, but the Camino is a journey that really does forge some unusual yet strong friendships. We waved off our Finnish friend Sami the day we arrive in Santiago, and he was in tears at being separated from Tae-Hyum who he'd walked with, as well as the rest of us. So after 450km of walking together - and spending almost every hour in each other's company - Kurt, Kim, Jonas and Connor practically feel like family. We've covered almost every topic of conversation, know everyone's life stories, and teased each other mercilessly in that time. We got up at about 9am, having only made it into bed at about 2am. Breakfast was in an old chocolate factory that had been converted into a cafe, so churros and chocolate seemed appropriate. Saying goodbye afterwards felt odd - I imagine that we'll be getting together at some point soon, and we're already discussing biking the route next year. As well as trips to London, Austin, etc. After breakfast we all hugged (even Rupert - most unlike him!) and set out - only to bump into each other again five minutes later in front of the main cathedral entrance, where we repeated the process. 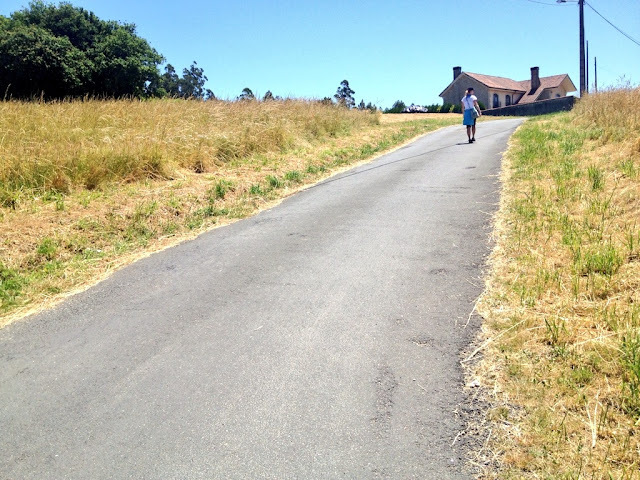 Kim had decided that she'd walk the first 10km with us, which made the process easier, and after a long cold drink at a small cafe in Figueiras she turned back to Santiago. A horrible feeling of missing friends that not even walking with one of my favourite cousins could quite remedy. On we walked. 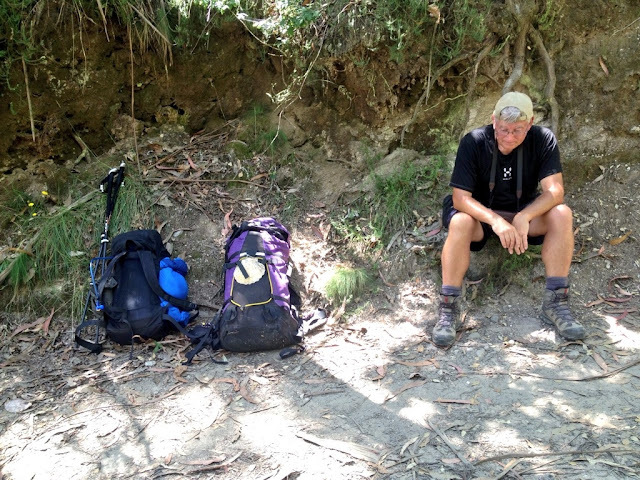 The late start (11am) meant that we were facing the brunt of the afternoon sun, and I could actually taste the dry heat as we worked our way up a 300 metre hillside. 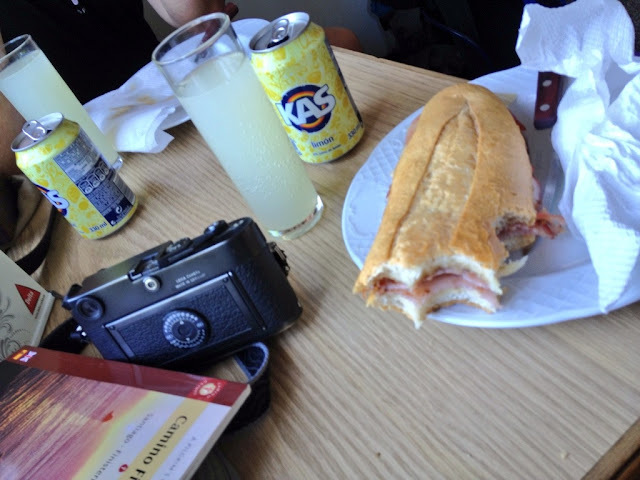 Lunch was at Casa Pancho, a quiet cafe that did excellent ham and cheese bocadillos - up there with the best on the Camino so far. Two rounds of cold drinks, and the owner had cleverly kept a stash of glasses in his freezer. The temperature inside his cafe was 32°C: outside it was over 40°C. Rupert really wasn't enjoying the conditions, but we made it to a modern albergue at Negreira by 6.30pm, where Ruups drank two litres of water as I checked us in for the night. The excellent pilgrims' menu was served by a woman who threw her hands up in despair during the TV weather forecast. 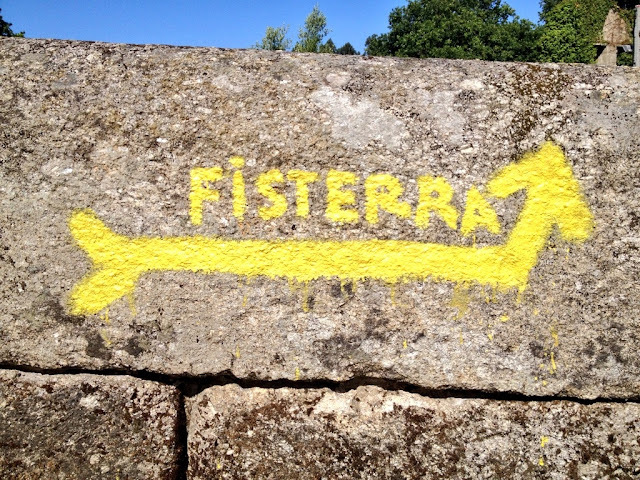 Galicia is hot even by local standards. Kurt's love of Texas and musical interludes. And his disdain for Prius drivers. And his beard - tragically shorn off when we arrived in Santiago. Jonas's ability to impersonate chickens - we've already walked past a few and it feels weird not having him here. And his pre-breakfast mewling, which did actually take my mind off the act of walking at early o'clock. Connor's personal grooming product ideas - sadly almost completely unmarketable. Kim's ability to shoot me looks that covertly conveyed her exact thoughts about the people we bumped into - this became known as the 'red button' commentary, which probably means nothing to those of you in America, but in the UK it's the remote button you press for the alternative digital television commentary during sports events. And her US Special Forces baseball cap, with flowers she'd pick as we walked along decorating the back, which seemed to sum her up rather neatly. And generally their sense of humour.